Andover 55-inch W 6-Drawer 1-Door Vanity in Brown With Marble Top in Beige Tan With Mirror Enjoy the popular classic look in your bathroom with this beautiful vanity. The beige tan marble counter and brown solid wood base make a beautiful look in your bathroom. Its single-door cabinet and drawers have lots of room to keep all of your bathroom items. This set from Wyndham Collection is great for anyone looking for great style and function in their bathroom. 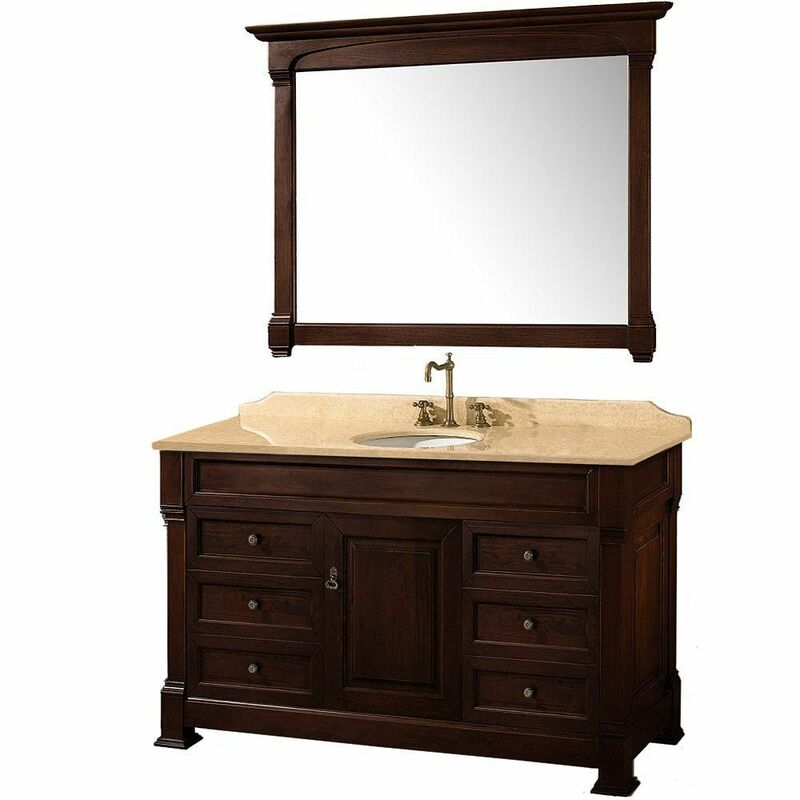 Andover 55-inch W 6-Drawer 1-Door Vanity in Brown With Marble Top in Beige Tan With Mirror is rated 3.3 out of 5 by 3. Rated 4 out of 5 by Barney from Very good looking. Quality is a bit poor. ... Very good looking. Quality is a bit poor. Three drawers difficult to close. Rated 5 out of 5 by Tina from Gorgeous and has a rich look. Very happy!!... Gorgeous and has a rich look. Very happy!! Rated 1 out of 5 by Dissatisfied from The product is of poor quality. The sink is not shaped uniformly and the surface finish is of poor quality. The drain plug cannot be seated properly and water pools around it, so I have to replace the sink. The marble top is so soft that it has a scratch in it already, despite the fact that I have been very careful with it. I am very dissatisfied with this product.